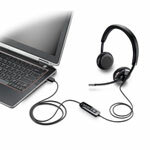 Plantronics Blackwire C520 USB Headset - Headsets Direct, Inc. 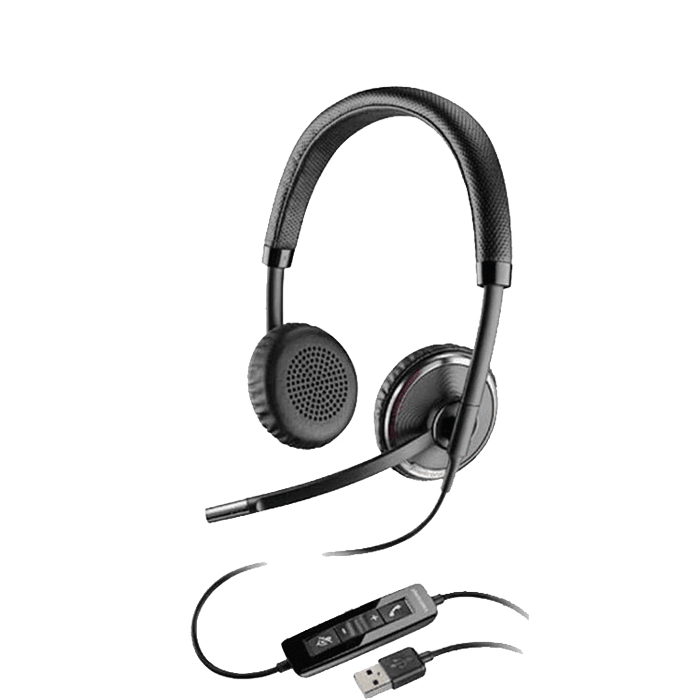 The Plantronics C520 corded USB headset includes the industry’s first Smart Sensor™ technology to activate the connection only when you’re wearing the headset. 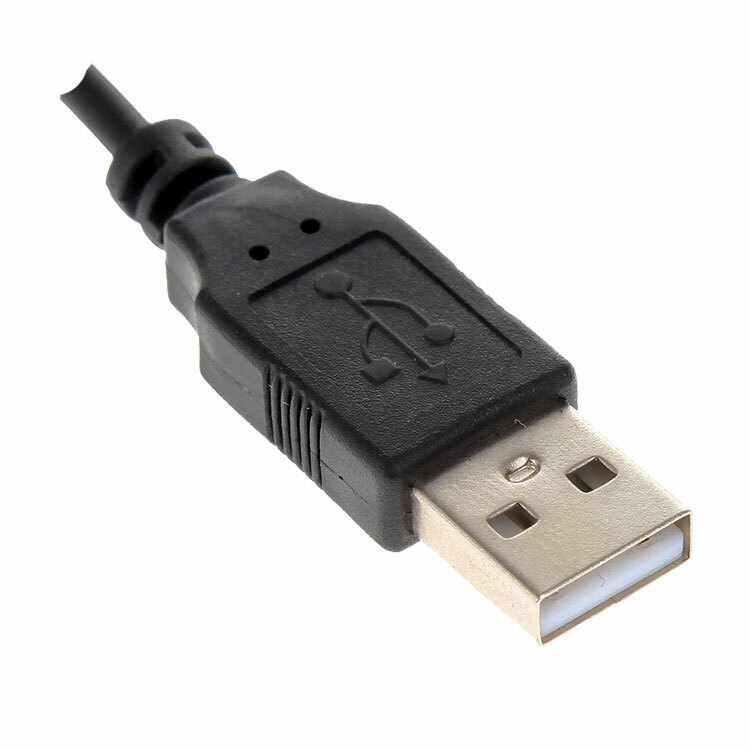 It easily and intuitively juggles PC calls and multi-media using audio alerts to manage connection, mute and volume status. 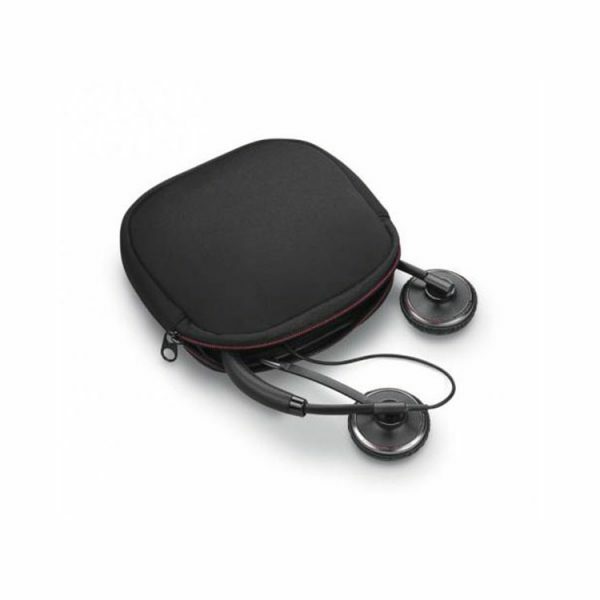 With the Plantronics C520’s easy portability, it offers premium audio quality and all-day comfort at your desk or at home. Experience industry-first Smart Sensor™ technology that lets you answer a call by simply putting on the C520 headset – making it the most productive and versatile corded headset on the market. Offering PC wideband, noise-canceling microphone and high quality sound, the Blackwire C520 headset provides a truly outstanding audio experience – making it ideal for conference calls, webinars, listening to music and other multi-media. The Dynamic EQ feature optimizes your voice quality when on calls and automatically adjusts the EQ settings when you’re listening to music or multi-media. The Blackwire C520 corded USB headset with Smart Sensor technology intuitively help you manage PC calls – simply put the headset on to answer a call and you’ll hear every word thanks to its premium wideband audio quality. And with ultra-soft leatherette ear cushions and a lightweight headband, you’ll enjoy all-day comfort and a secure fit. 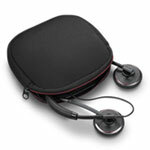 When work takes you on-the-go, simply fold the ear cushions flat, and store in the included carrying case. 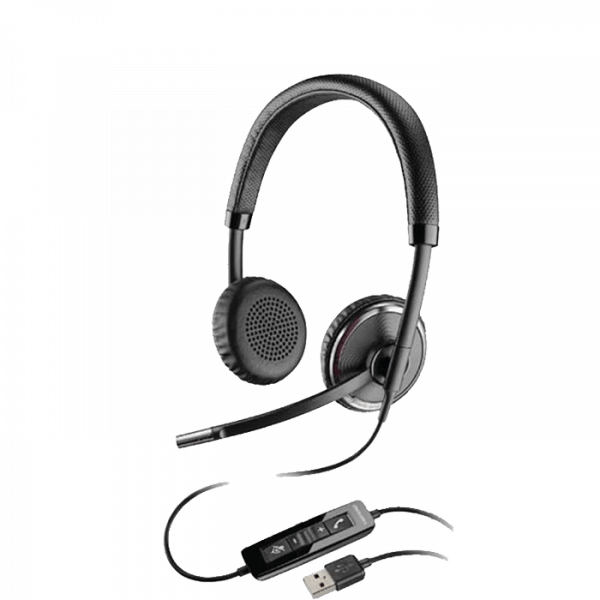 Durable and portable, the Blackwire C520 headset offers all-day comfort for juggling PC calls and multi-media – providing corded reliability that’s ready when you are. Using the product over a standard work day was comfortable.